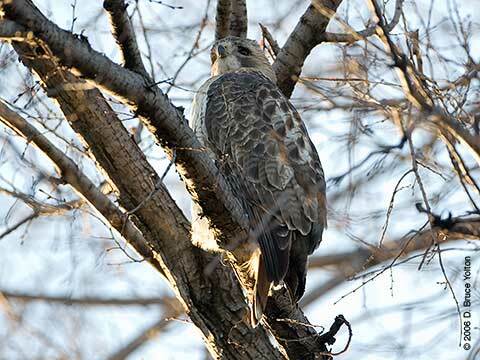 On New Year's Eve Day, I started hawk watching on the east side. 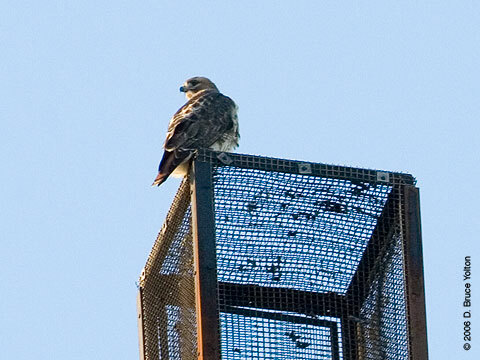 Either Pale Male or Lola was atop the "Oreo Building". 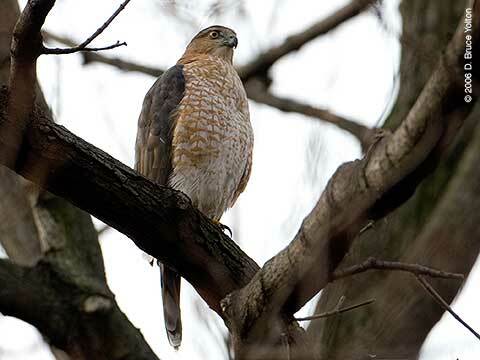 A Cooper's Hawk moved from east to west through the Ramble, too quickly for me to get a picture. 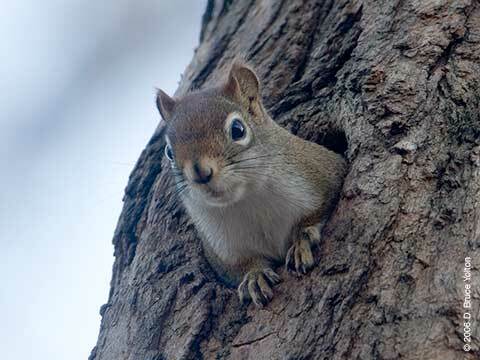 Walking through the Locust Grove, I saw the park's only Red Squirrel. 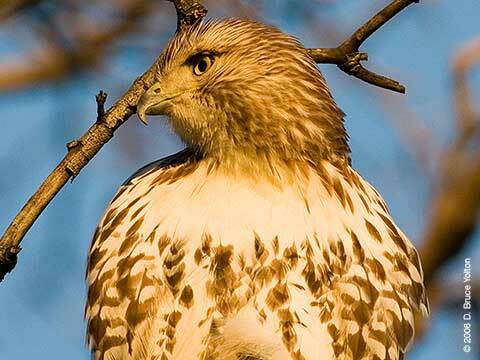 I walked up to 100th Street without seeing any Raptors. 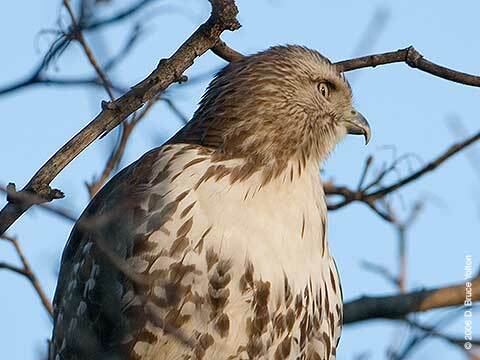 I ran into Robert, and we walked back to towards 86th Street to see if our "new" adult was going to roost. 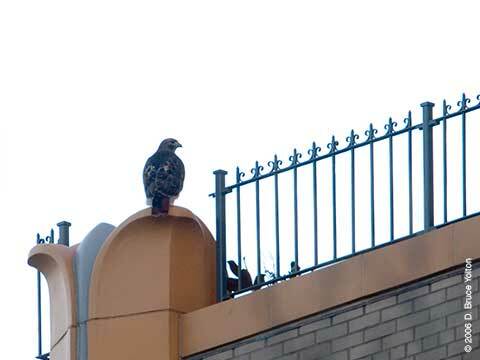 On the way there, we saw this hawk perched on a building in the low 90's. 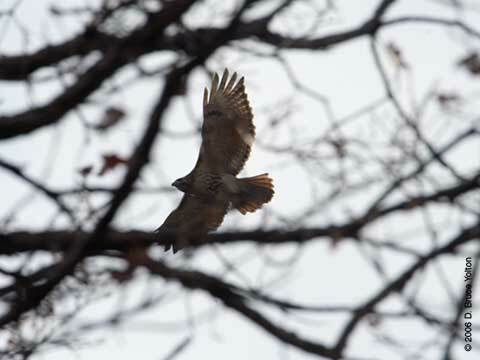 It moved down to tree level, and made a number of loops slowly moving north. 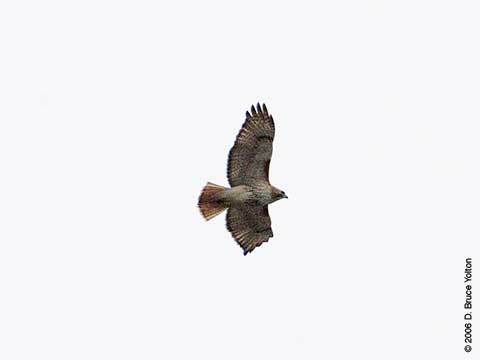 It stopped a few times and we could clearly see that it was an adult by its red tail. 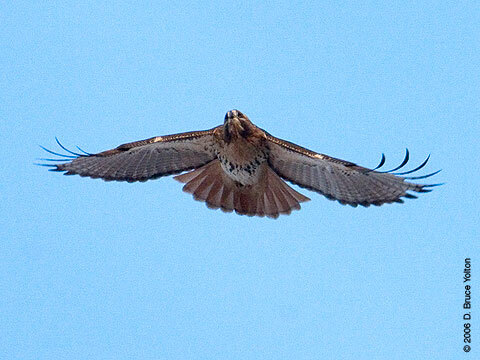 Robert followed this hawk, which in the low light was hard to identify. 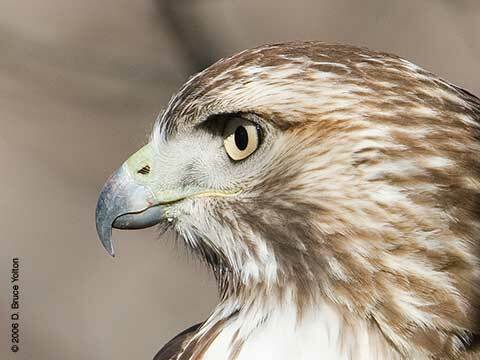 It might be one of the St. John the Divine hawks, but neither of us could be certain. I continued to 86th Street. 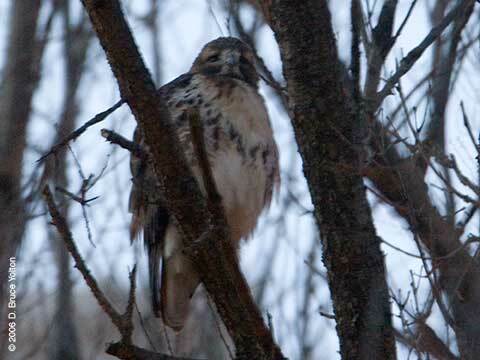 Our 86th Street winter visitor had already settled down for the night. 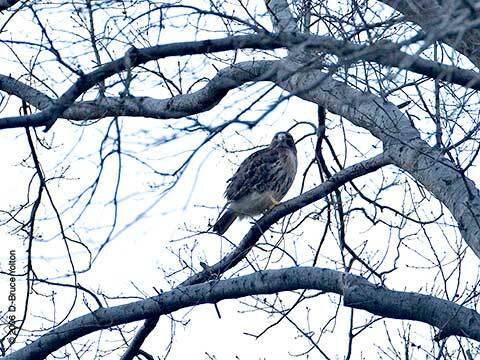 It will be interesting to see if this hawk finds a mate and stays in the spring or moves on once the weather warms up. 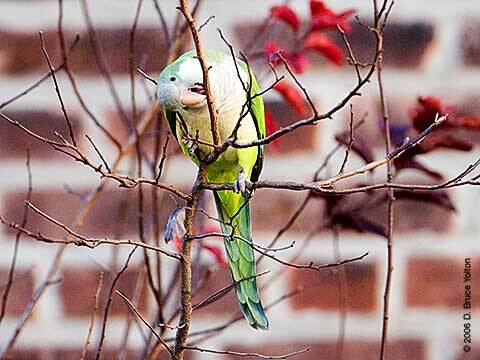 I started the afternoon in Inwood Hill Park on Saturday. 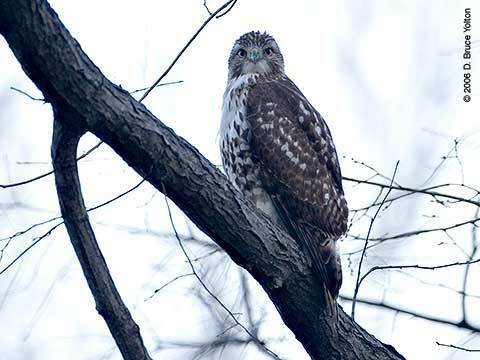 The Urban Rangers hosted an Owl walk. No owls were seen, but owl pellets were found and dissected. Both kids and adults had a good time. 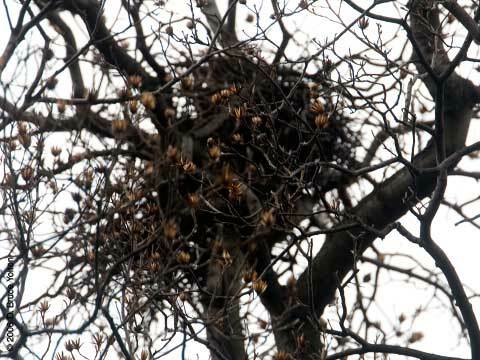 We didn't see either of the Inwood Red-tails, but I did get a chance to see their nest. 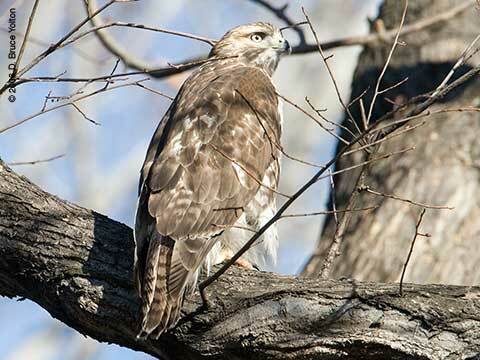 I learned from a ranger that the female Inwood Red-tailed hawk had to be rescued in the fall. 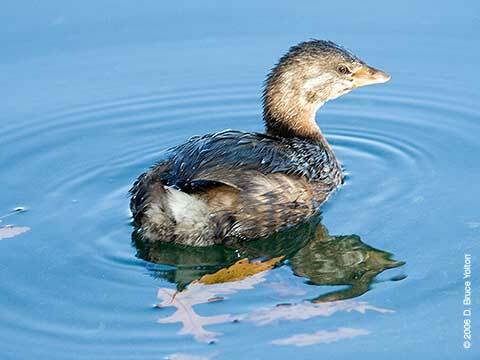 She tested positive for West Nile virus, but has made a complete recovery and has been released back into the park. 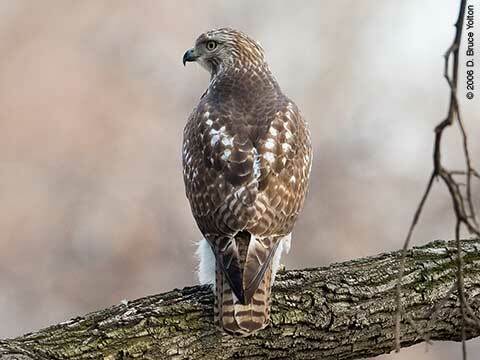 This was the only raptor I saw up at Inwood was a Cooper's Hawk. 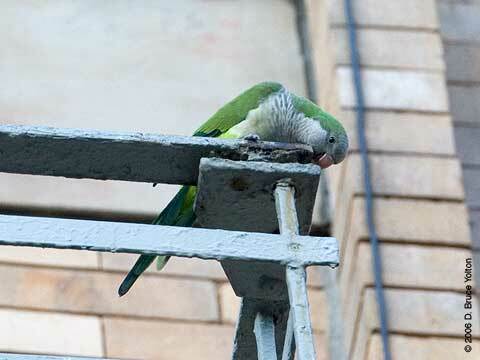 The 103rd Street Monk Parakeets were on my way home, so I stopped by to take a look. 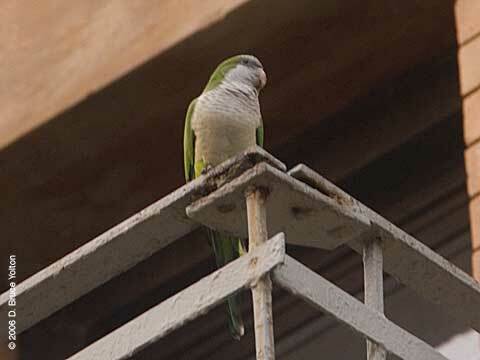 One was on the balcony when I arrived. 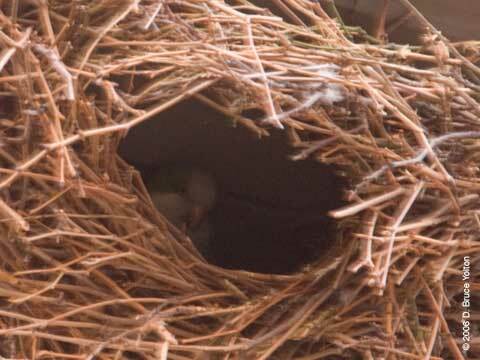 The other was already inside the roost. 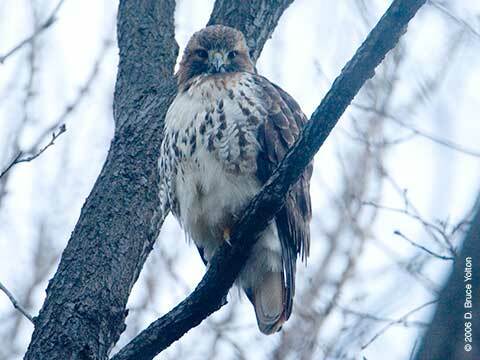 I then walked down to see how our 86th Street, Red-tailed Hawk was doing. 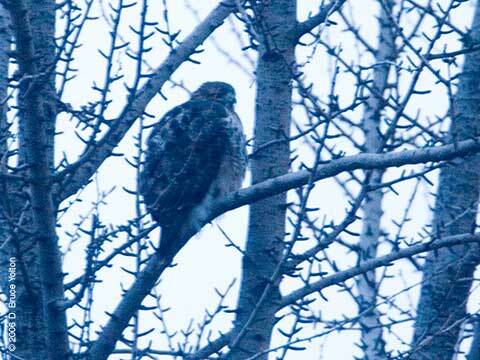 Like clockwork, after moving about for a fifteen minutes the hawk settled down for the evening. 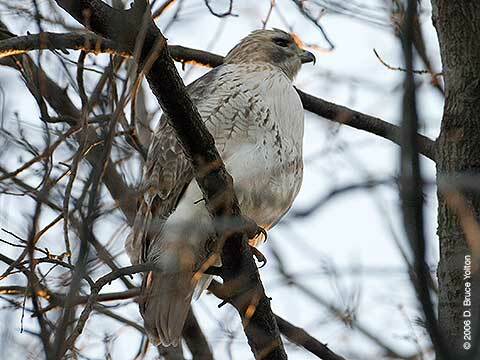 A mob of crows led me to a juvenile Red-tailed Hawk at 80th and Columbus Avenue. The tree was in the Margaret Mead Green inside the Theodore Roosevelt Park which surrounds the American Museum of Natural History. 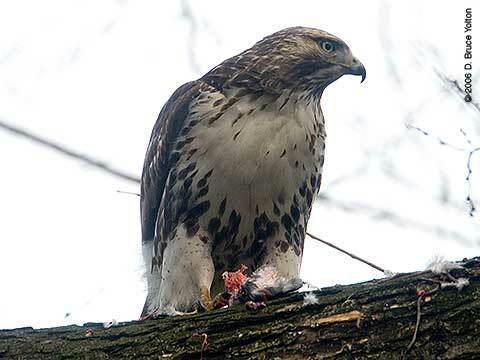 As soon as the crows left, the hawk resumed its meal of what looked to be Rock Pigeon. 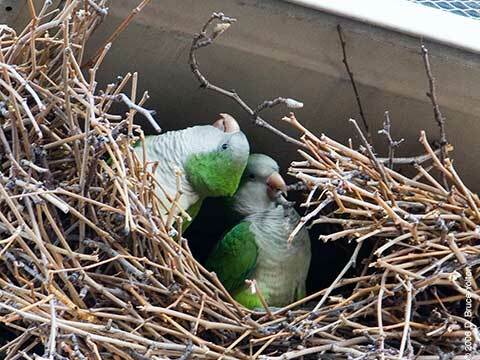 It's a good spot for the youngster. 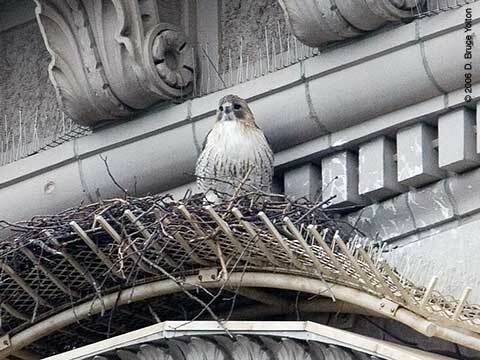 Being behind Pale Male and Lola's perch on the Beresford is a lot safer than being in front of it! 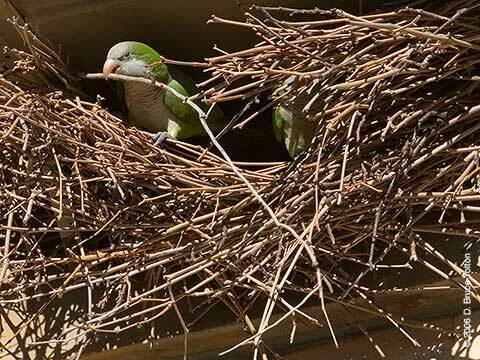 After reading Mary Beth Looper and Ben Cacace's reports of four Monk Parakeets on the Yahoo! 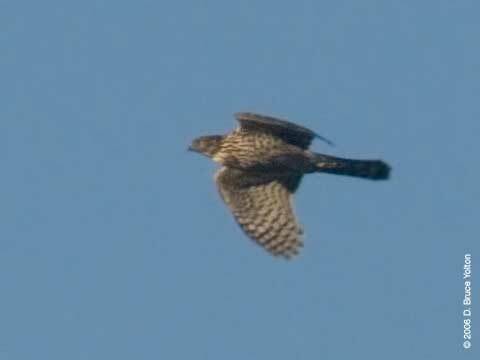 group ebirdsnyc, I've been trying to find time to see them. 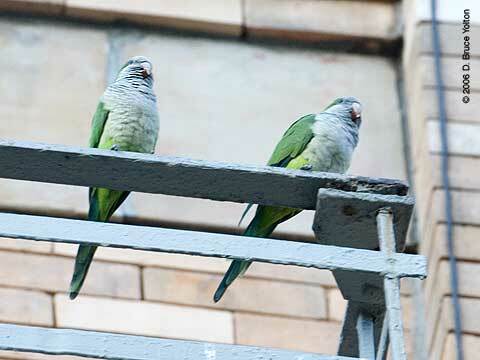 The Parakeets are in the block bounded by West 77th Street, West 78th Street, Amsterdam Avenue and Columbus Avenue. 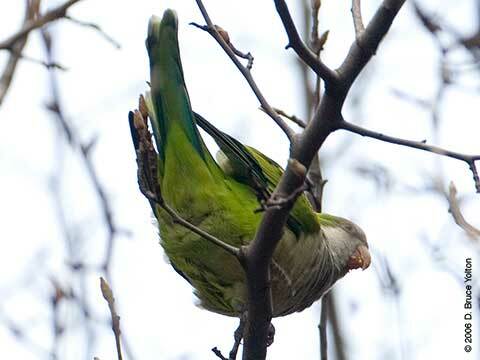 I can confirm that there are four Monk Parakeets. 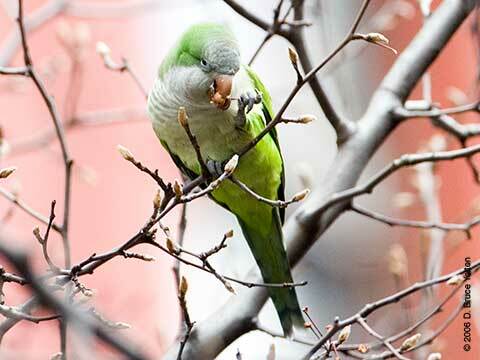 I saw them in two trees on 78th Street, close to Columbus. 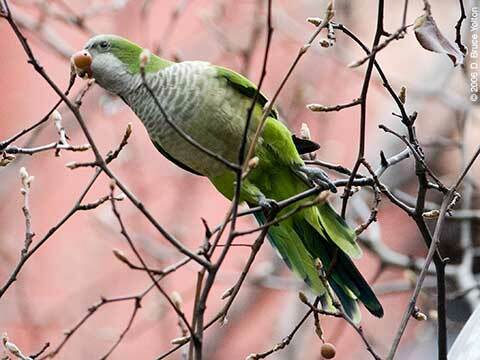 They were enjoying two budding trees full of berries. 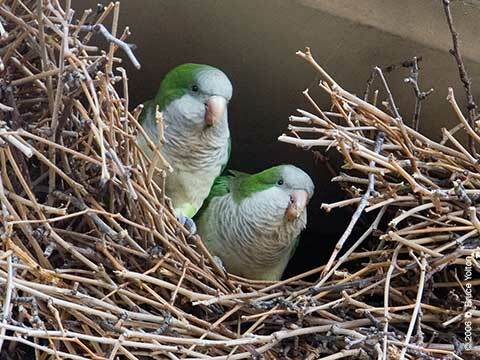 I couldn't find their roost. 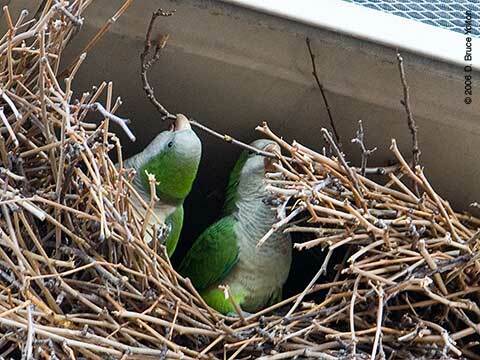 Before dusk they appeared to go into the center of the block, where there are backyards and gardens, although they could have gone to an adjoining block. 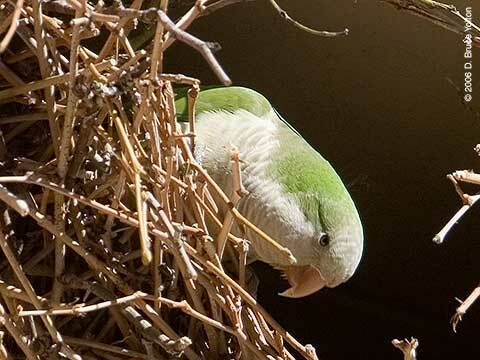 Click here for all Monk Parakeet posts. 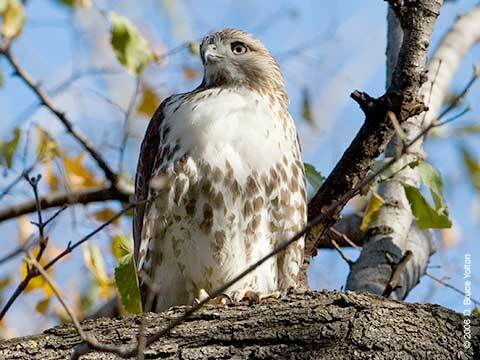 Could Central Park Support Four Hawk Pairs? Central Park can be divided up by the east/west roads that cross it. 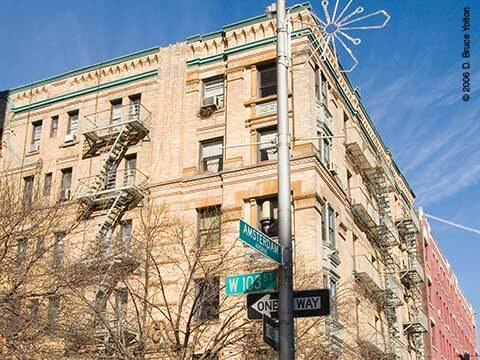 The park starts at 59th and ends at 110th Street. 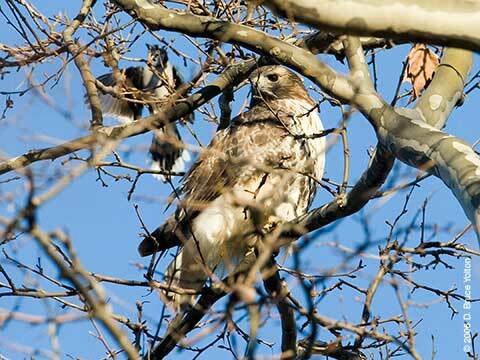 In between there are major roads crossing the park, at 65th, 72nd, 79th, 86th and 97th. 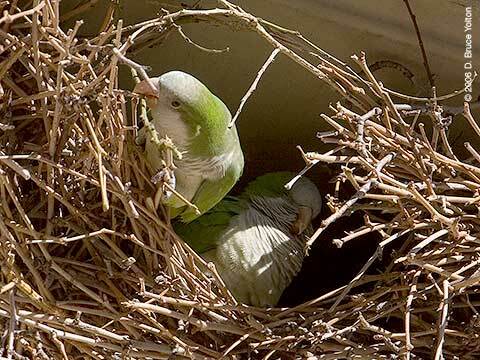 Or does it have hopes of attracting a mate and staying put? 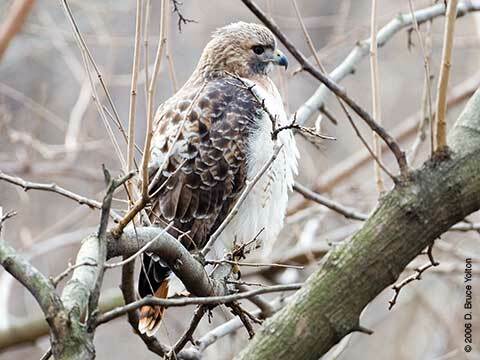 Could Central Park support a fourth resident Red-tailed Hawk pair? The comment section is open below for opinions! Update: There have been a number of excellent comments. 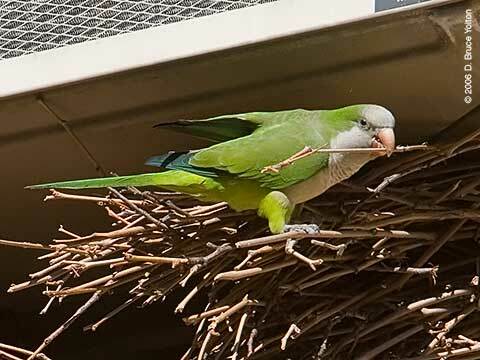 It seems that the issue isn't can the park support four pairs, but can four pairs share the park when the breeding season begins or is it too small? 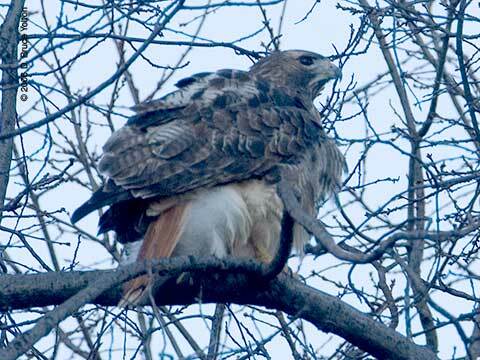 A 5th Avenue Red-tailed Hawk Christmas with Pale Male and Lola. 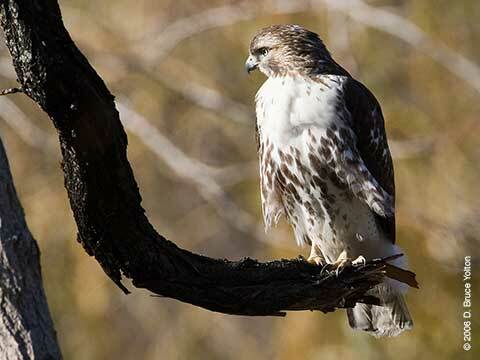 Pale Male on the nest. 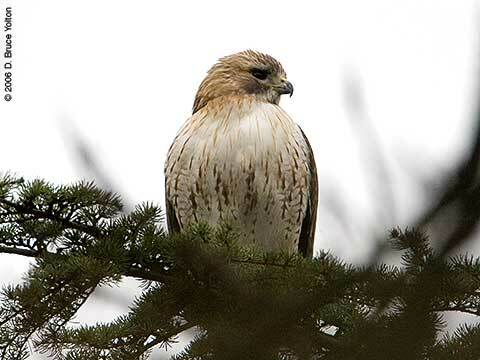 Pale Male on a tree at the top of Cedar Hill. Lola comes in to join him. 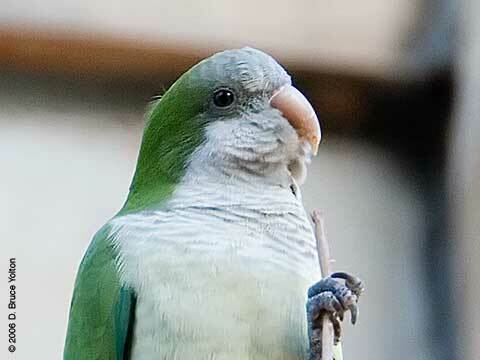 Lola, who soon flies south. 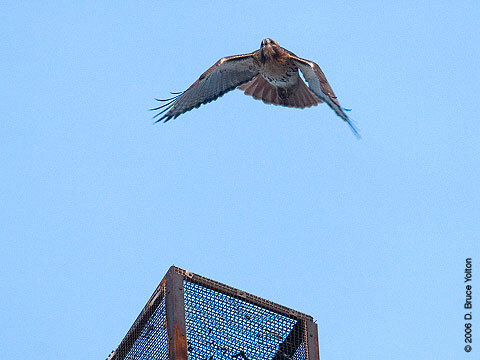 Pale Male flying above 79th Street. 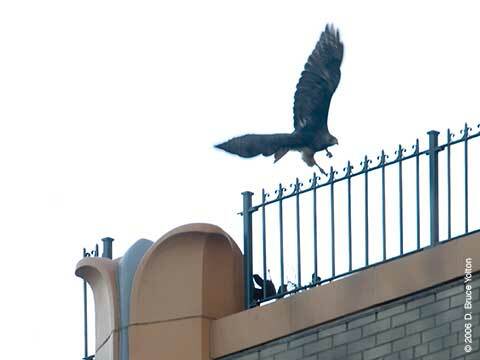 Pale Male lands on the Stovepipe building. I exit to cook Christmas dinner. 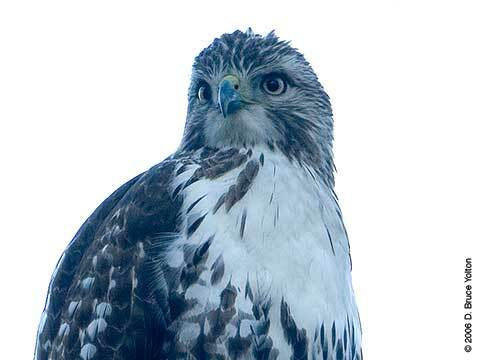 On Christmas Eve, we had a mystery. 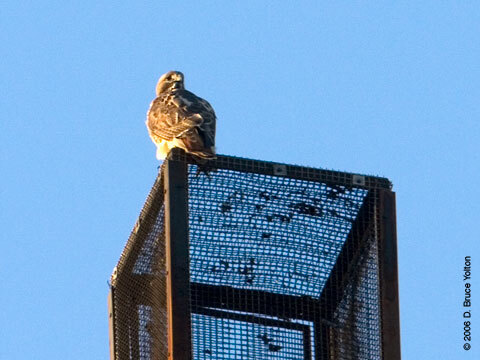 Around 4:00, Pale Male and Lola are on the Beresford's southeast tower. 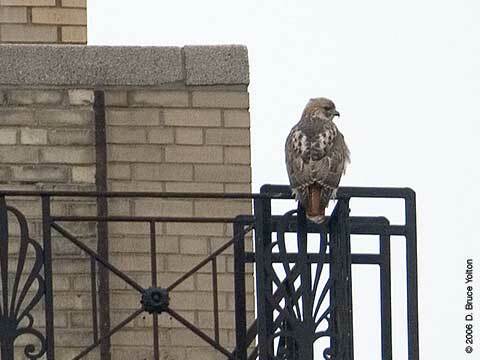 At 4:10, I found this adult Red-tail on a building at 86th and Central Park West. 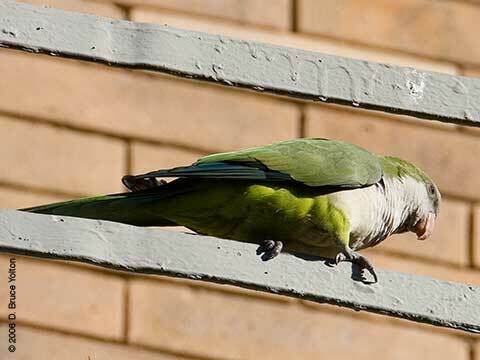 The bird moves south a few buildings. 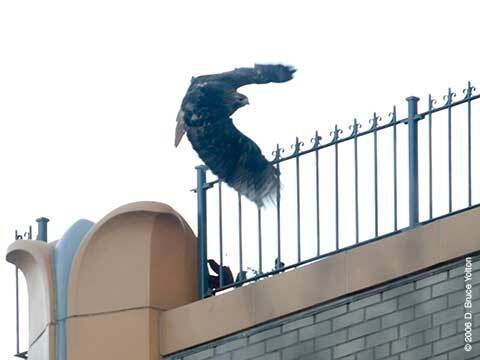 Landing on a building at 83rd or 84th. 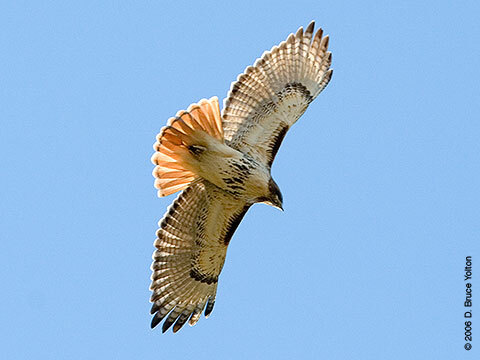 After a brief stop the hawk flies north, making a number of cries. 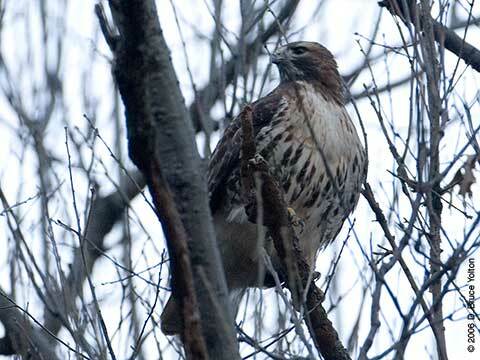 I lose sight of the bird, but it looked to be going into the park around 86th. 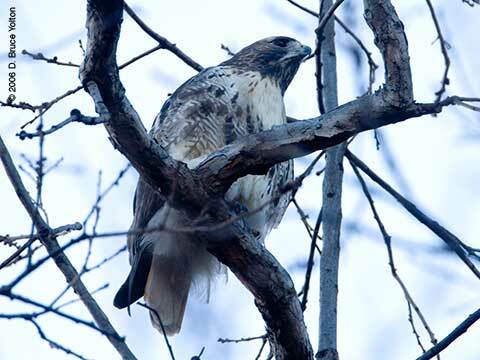 So, I walked north of the transverse, and two dog walkers pointed to this bird perching in this tree just inside the north 86th Street entrance to the park. 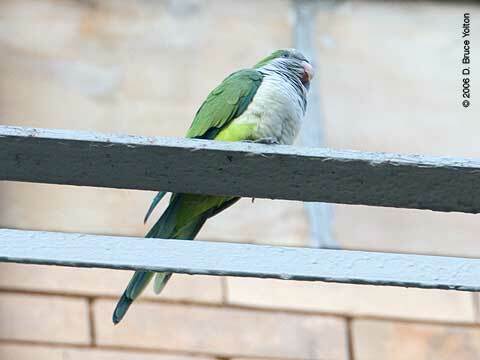 I thought it was Lola, but she slept on the Beresford according to Lincoln Karim. 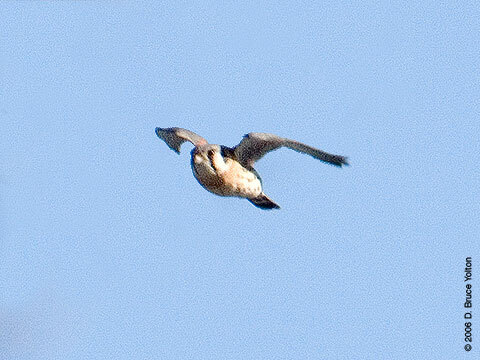 So, who is this mystery bird? 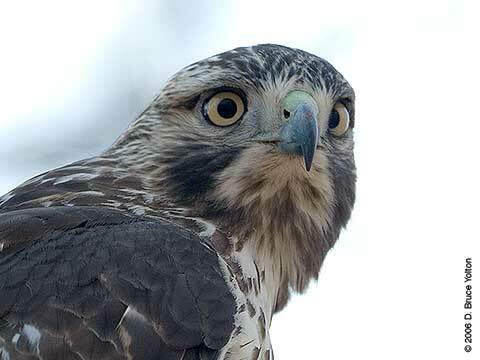 Is it the same hawk I had on the rooftops? 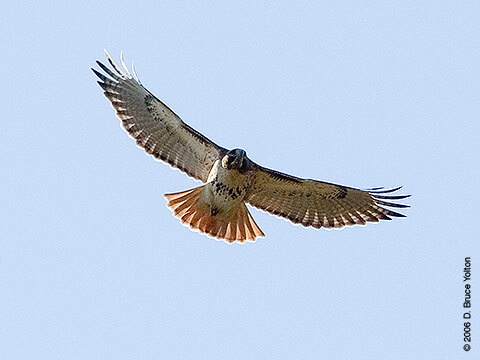 Or the bird that elicited the cries from the rooftop Red-tail? 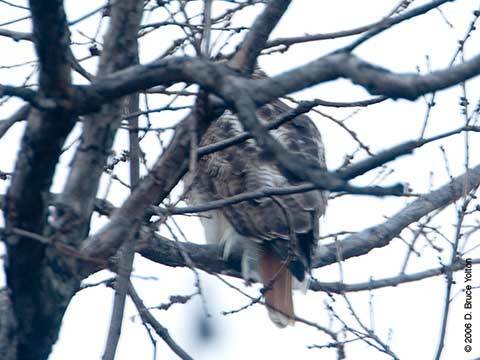 The Red-tail was in the tree way after dark. 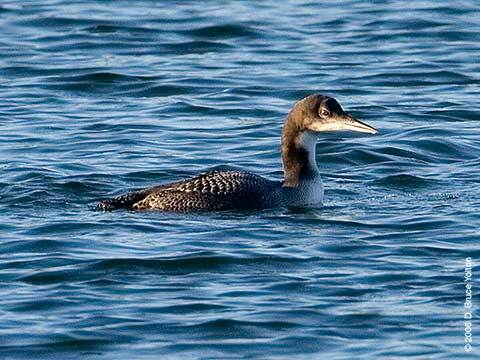 This was a 3 second exposure taken at 5:15 p.m.
On Christmas Eve Day, I got to see the Common Loon that's been on the Reservoir. 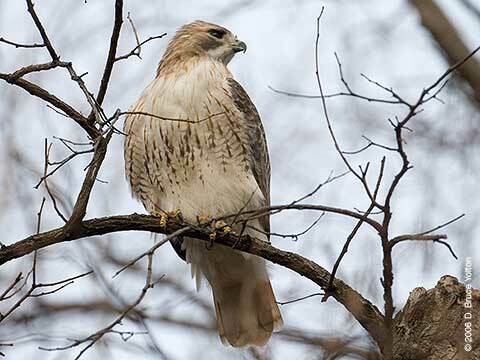 It's a new bird for my Central Park list. 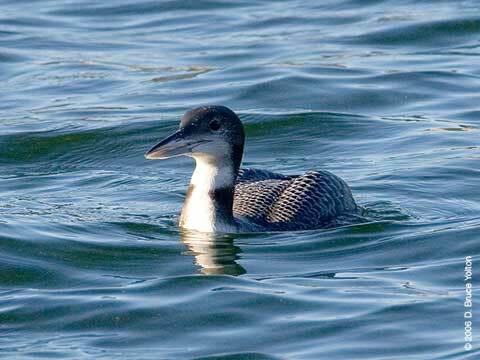 I entered the park at 90th and Fifth Avenue and looked for the Loon. 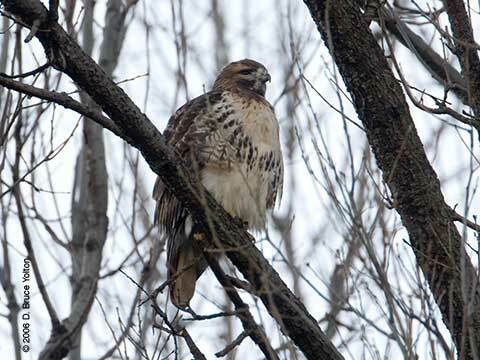 I ended up making the entire loop of the Reservoir before finding the bird at 87th about 100 feet from the eastern bank. 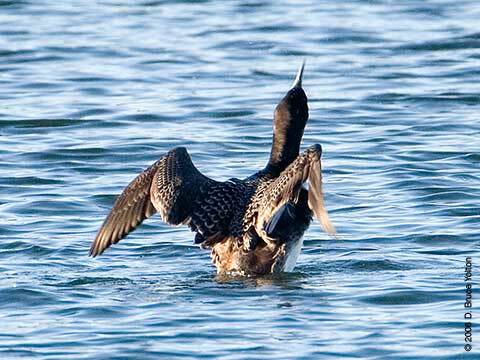 The Common Loon has been doing lots of underwater diving, coming up for only about 20 seconds before going under. Then it changed behavior. 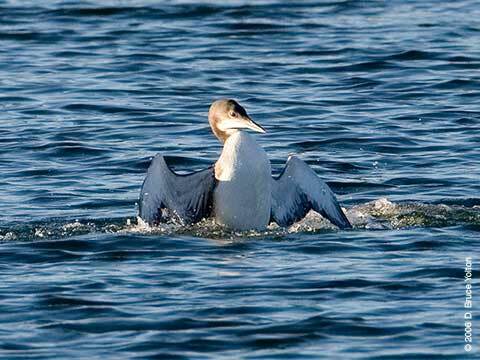 And took an aggressive posture. 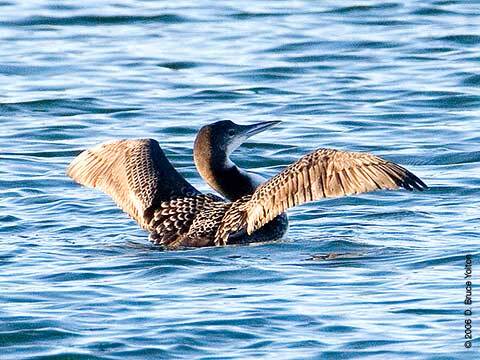 The reason for all this behavior surfaced nearby, a Cormorant. 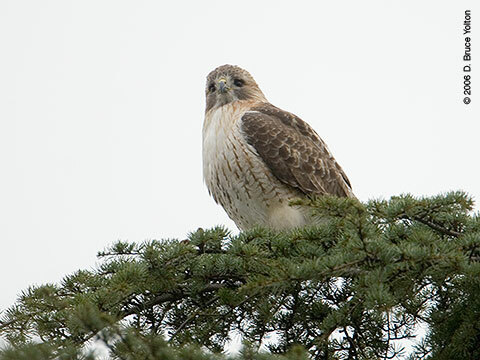 On Saturday, I discovered this Juvenile Red-tailed Hawk around the Tennis Courts north of the Reservoir. 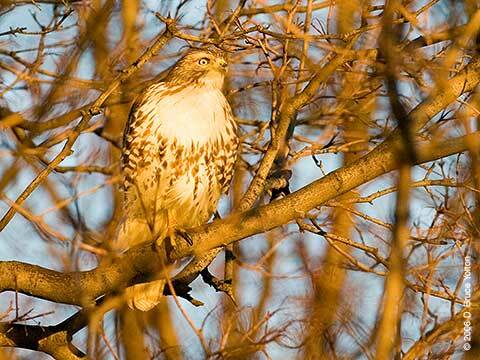 The golden color of a winter sunset. 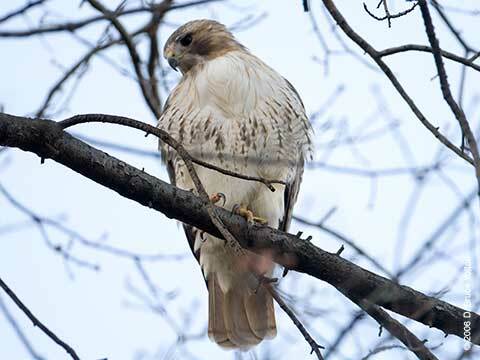 The Count is a census which records the number of each species found in the entire park. There are seven teams, splitting up the park into sections, Northwest, Northeast, Reservoir, Great Lawn, Ramble, Southwest and Southeast. The teams all start at the South Pump House, split up to do their section's and then meet back at the Arsenal for lunch and the tally. 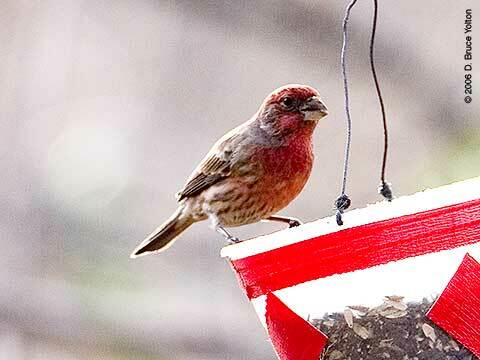 The mix of birders included all skill levels, from beginners to experts. So, if you don't think you're qualified for the event, don't worry. 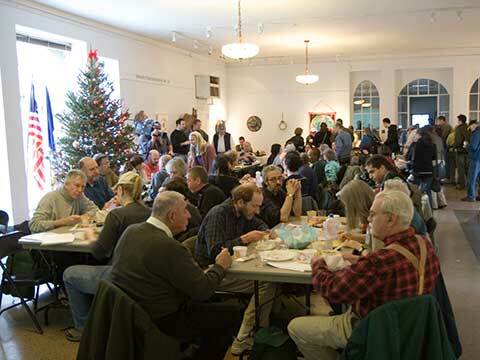 Join in next year, everyone is welcome. 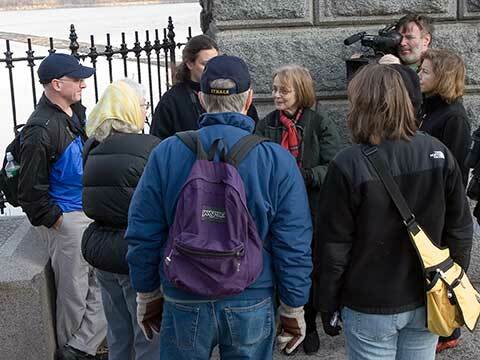 Marie Winn giving a portion of the Ramble team its instructions. 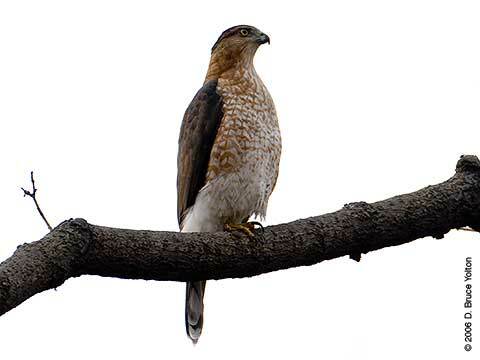 Our first raptor was this Cooper's Hawk. 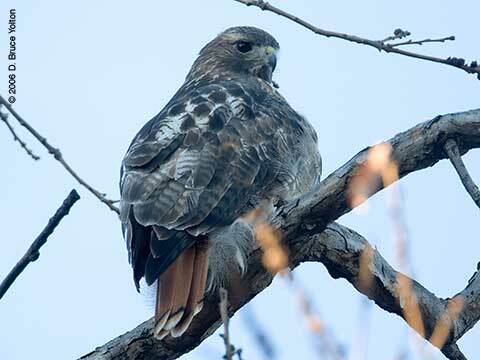 It keep our initial numbers down at the feeders in the Ramble, which was free of birds as long as the Cooper's Hawk was about. 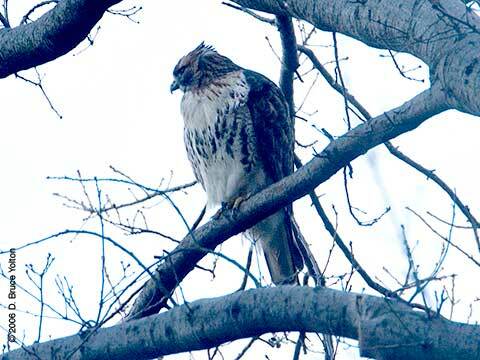 Our second raptor was a Red-tailed Hawk by the area along the Lake called the Oven. 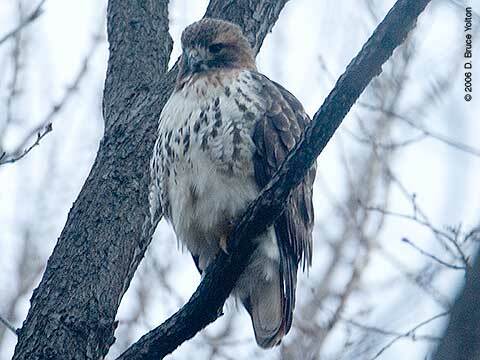 This is the same Red-tailed Hawk as seen earlier. 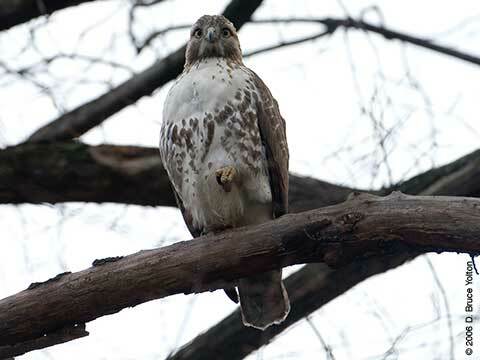 It looks to be Pale Male, but I can't be certain. 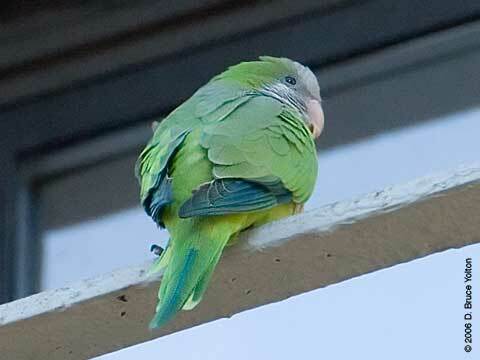 The morning was cold and this bird had puffed up to stay warm making it harder to make an I.D. 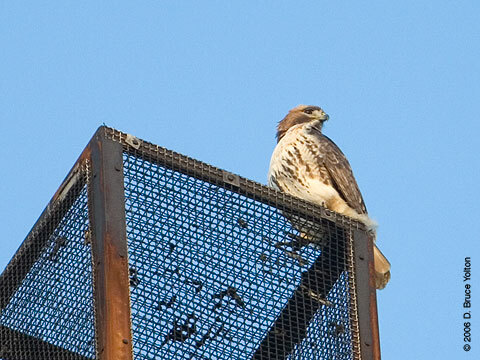 Red-tailed Hawk just outside the park on a water tower. One last look before going to lunch. 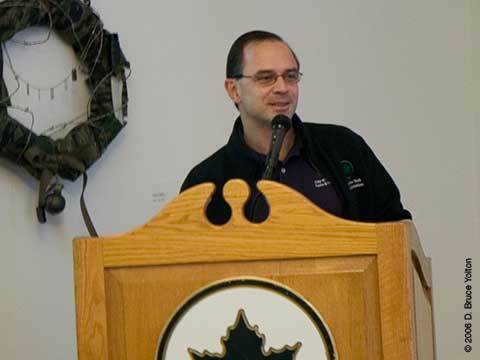 New York City Park's Commissioner, Adrian Benepe. 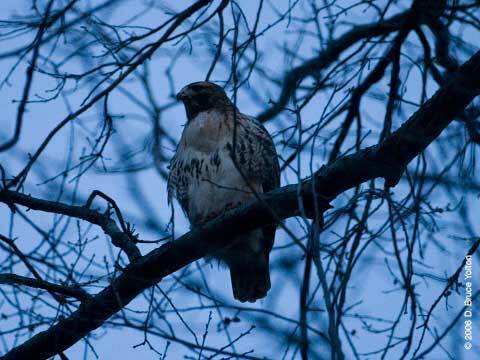 After the count, I went out to look for hawks in the Great Lawn area. 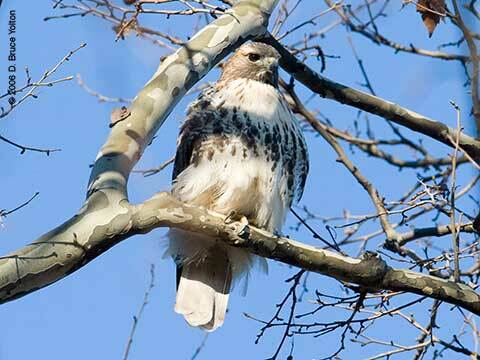 I found this juvenile Red-tailed Hawk in a tree inside the Diana Ross playground at 81st and Central Park West. 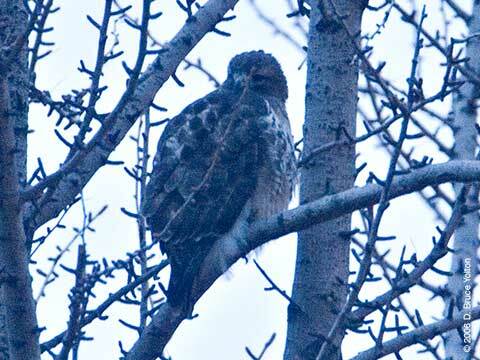 After about twenty minutes the hawk moved about 20 feet east before moving from tree to tree about 100 feet north. 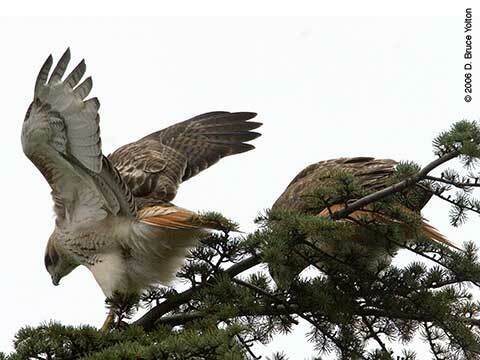 Then the hawk took off and was chased by an adult hawk up to the top of the Great Lawn. 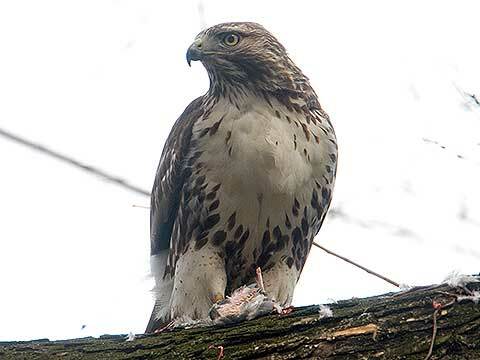 When I caught up to them, the juvenile hawk was nowhere to be found, but Pale Male was there with a pose that said, "Youngster, this is my territory." 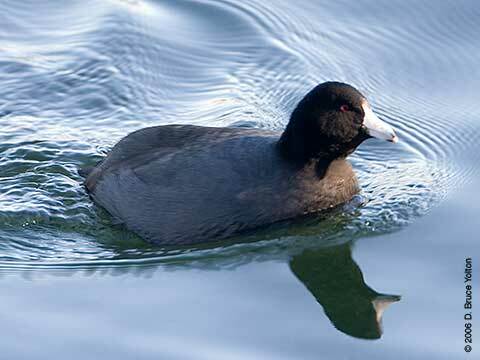 I walked through The Rambles, the Great Lawn and the Reservoir without seeing anything too unusual. So, I left Central Park and made my way to 103rd and Amsterdam. 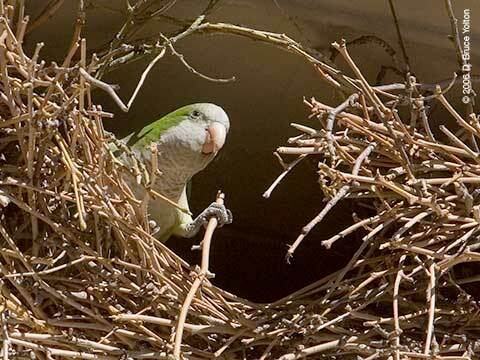 The Parakeet nest was empty, so I walked through the Fredrick Douglas Houses, and saw a group of about 100 pigeons circling overhead. 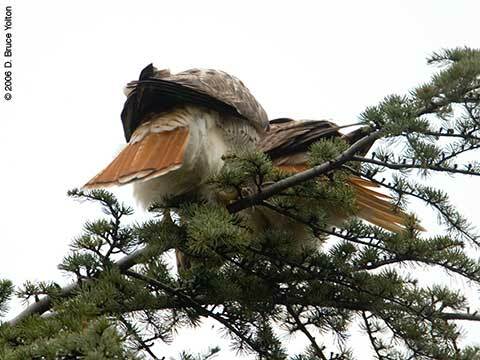 A sure sign a raptor was about. 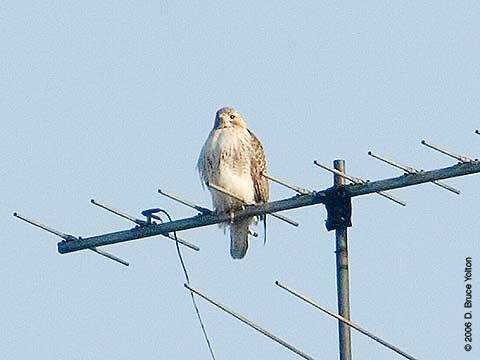 On top of 875 Columbus, I found a Red-tailed Hawk. This building is at the top of a hill and must have great views in all directions. 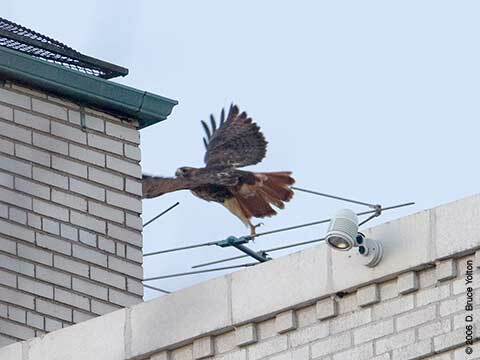 The hawk stayed for about 30 minutes before flying at least 20 blocks south-southwest. 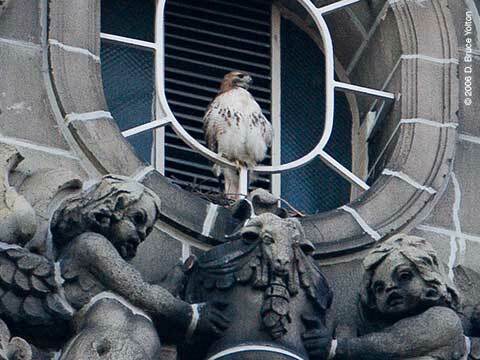 I had been all set to say it was the Cathedral Female, before the long flight south! 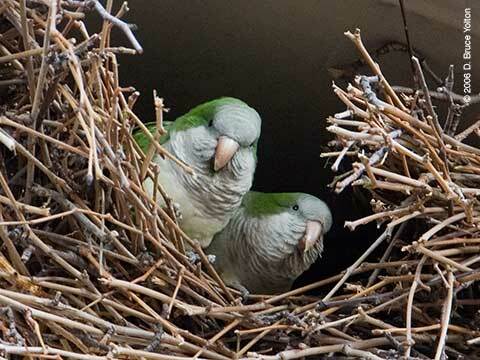 After the hawk left, I went to the Monk Parakeet nest. 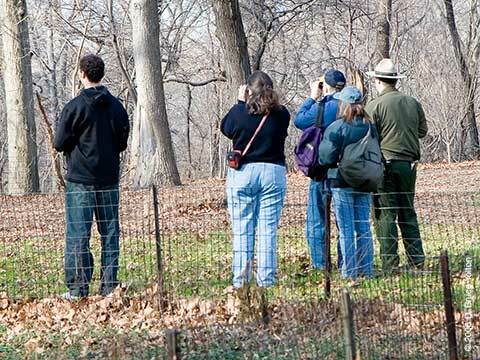 There was a couple watching them with binoculars. 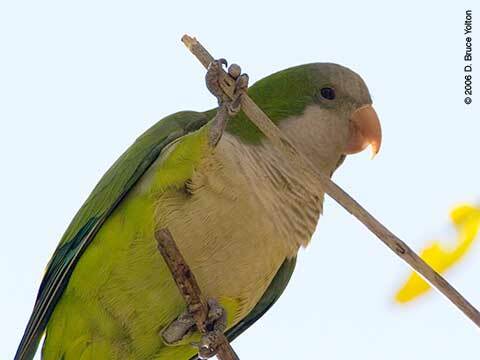 They reported that the Monks had just arrived around 4:10. 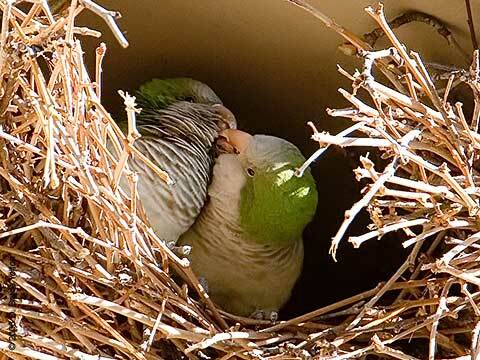 The Parakeets tucked themselves into their roost by 4:25. 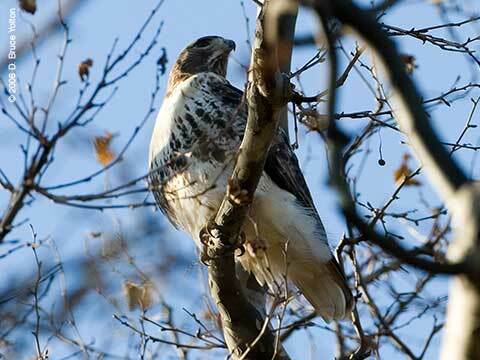 I entered the park at 103rd and Central Park West. 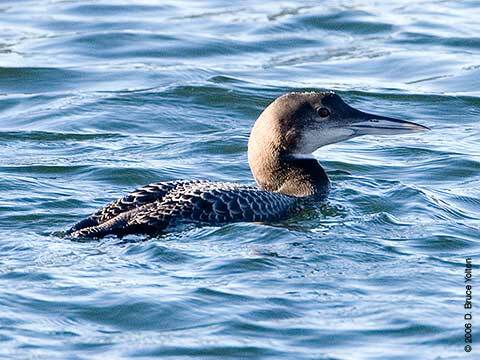 The Pool and the Loch were quiet, but there was noise to the south, so I went to the north edge of the North Meadow. 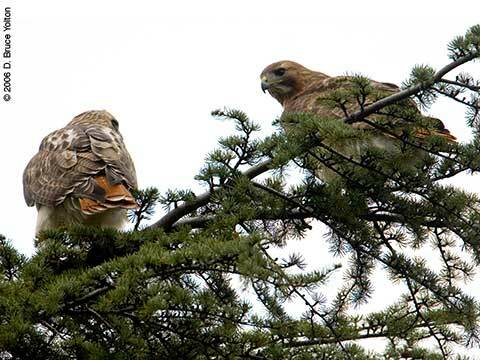 Two adult hawks appeared. 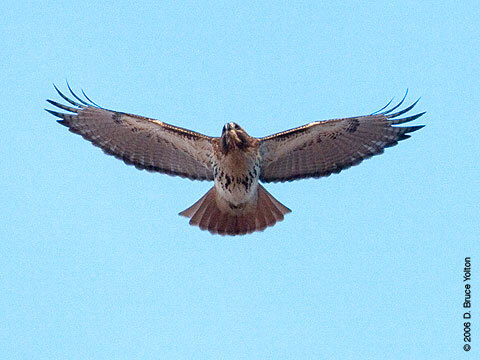 One went north out of sight and the other circled overhead. 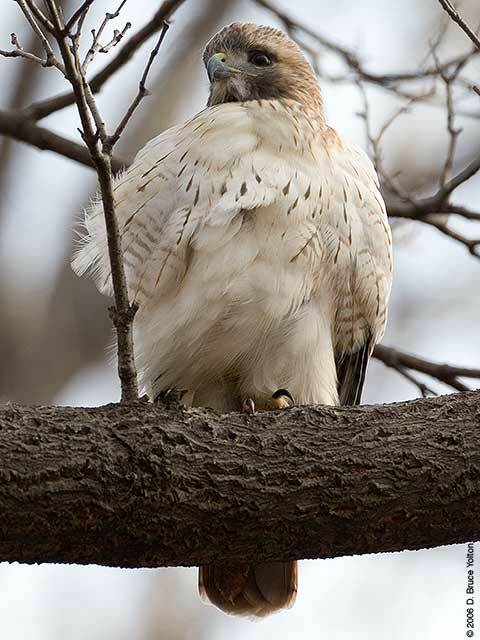 This hawk may be the St. John the Divine female, but I can't be certain. 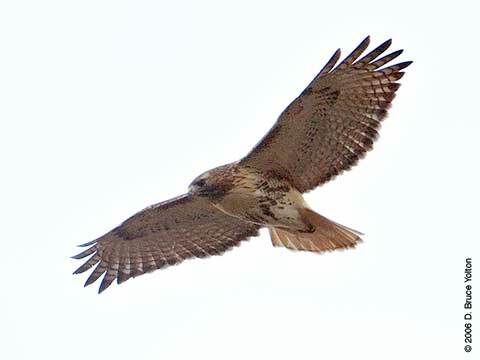 It flew south down to about 90th. 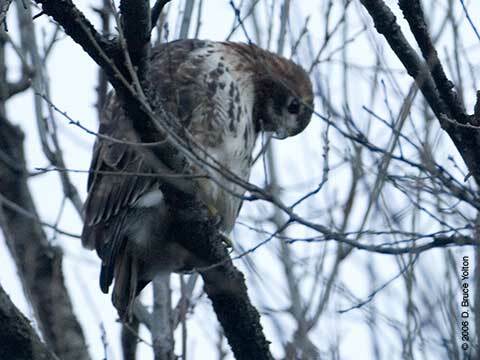 The hawk moved from tree to tree, not settling in for more than ten minutes per branch. 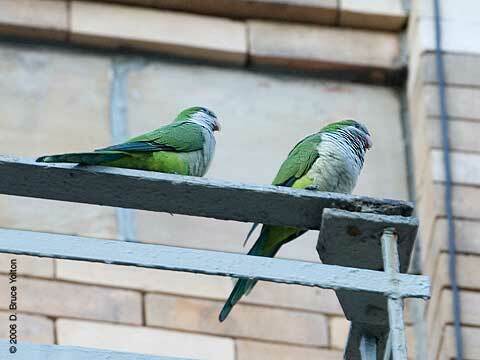 Blue Jays were making it difficult to find peace and quiet. 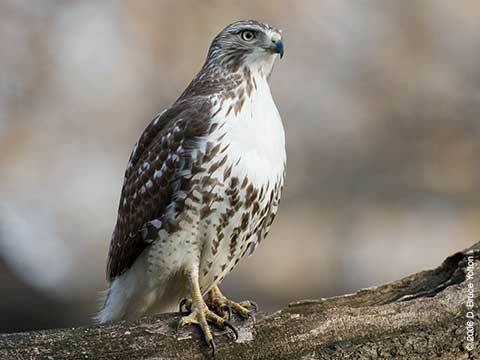 The hawk looked to be hunting rodents along the west park wall, so I left to avoid interfering. 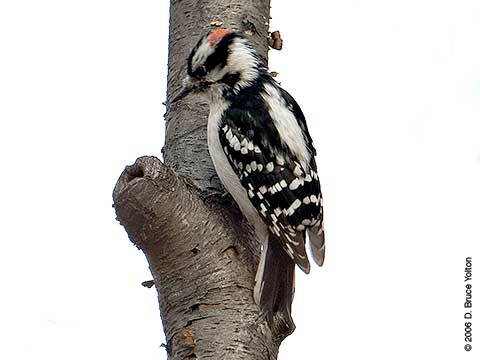 I walked along the Reservoir, through the Pinetum, and down the Locust Grove. 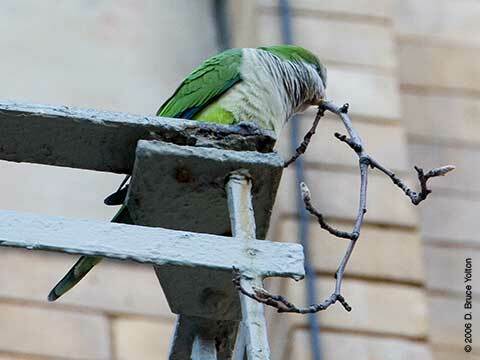 In the Locust there were a number of squirrels making alarm calls. 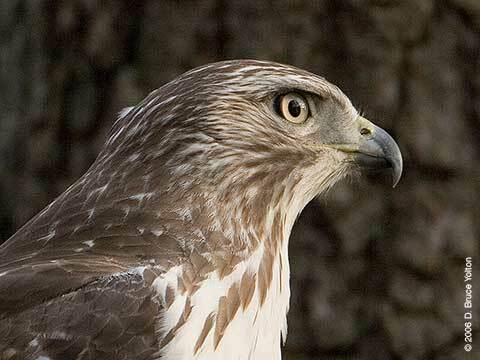 Fifty feet away in a tree on the Great Lawn was the cause, Pale Male. 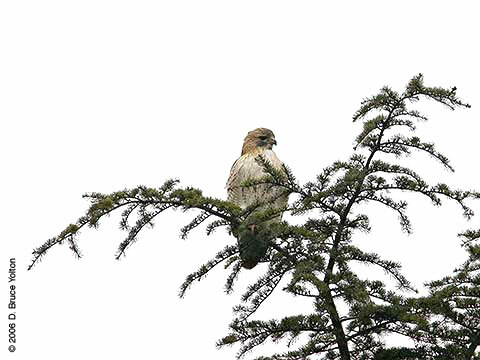 He had been in the same tree for most of the afternoon. 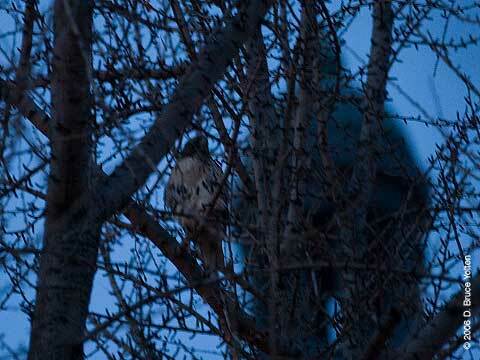 Before moving to another tree that had the last bit of sunlight. 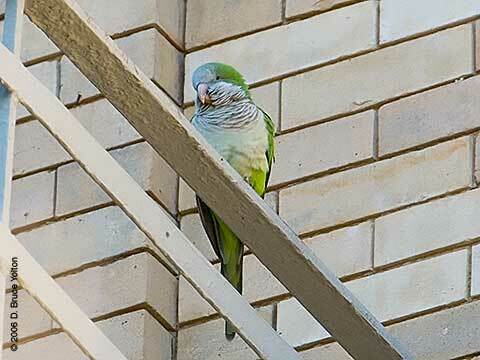 Lola was in her usual spot on the Beresford. 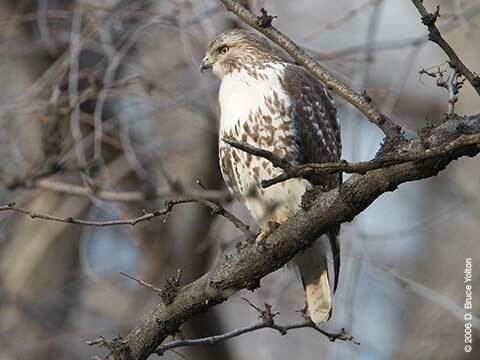 I went into Central Park on Saturday hoping to find a Cooper's Hawk, take a few pictures of Pale Male and then go off to the Monk Parakeets on Amsterdam Avenue. 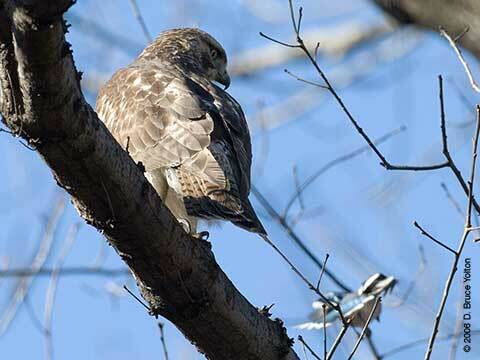 As often happens when birding, I ended up with a different set of observations. 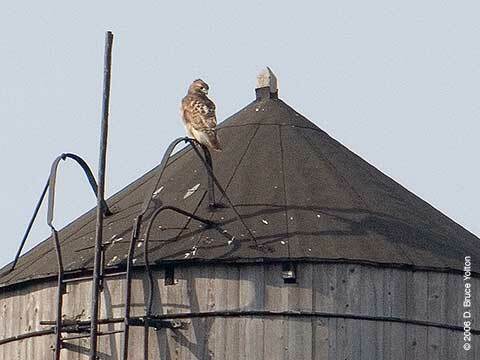 This American Kestrel was on the Met. 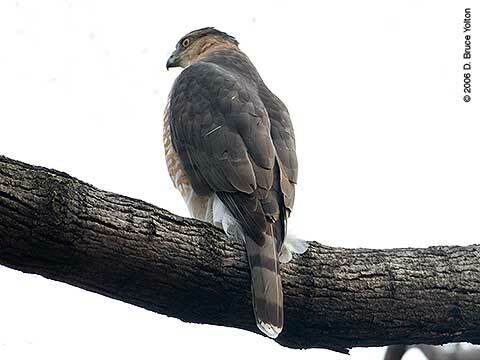 I missed the Cooper's Hawk, which I found out from other birders had spent an hour in the Tupelo tree in the Ramble. 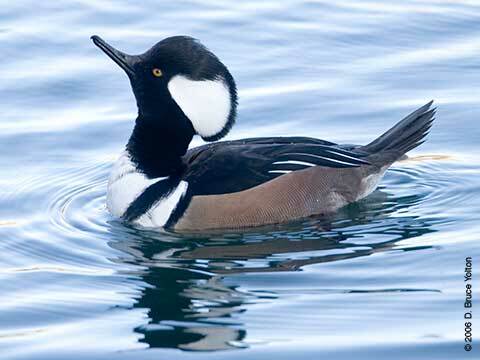 The Reservoir had a number of ducks, including two pairs of Hooded Mergansers. I then went off to 103rd and Amsterdam. 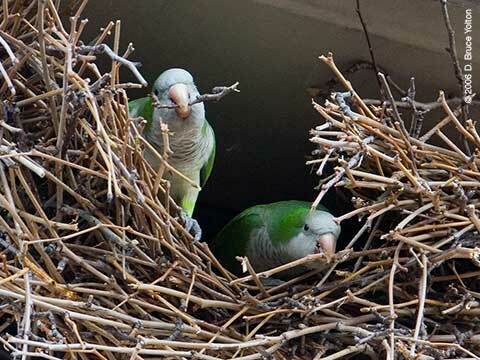 No sign of the Parakeets, who seem to have completed their nest/roost. 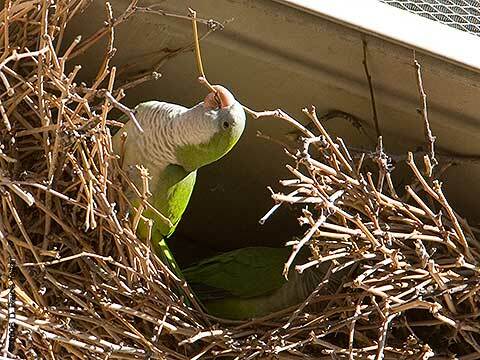 I suspect that they'll be harder to spot now, since they're going to spend more time exploring the neighborhood now that the nest is done. 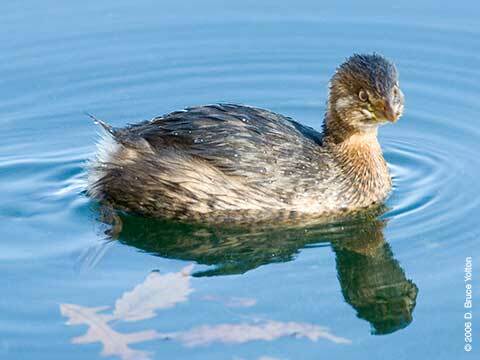 Having struck out with the Parakeets, I went to the The Pool and the Loch in Central Park. The Pool was quiet and partially frozen over. 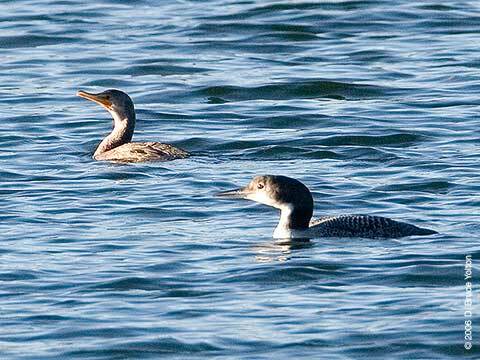 In the Loch, I heard a group of Blue Jays. 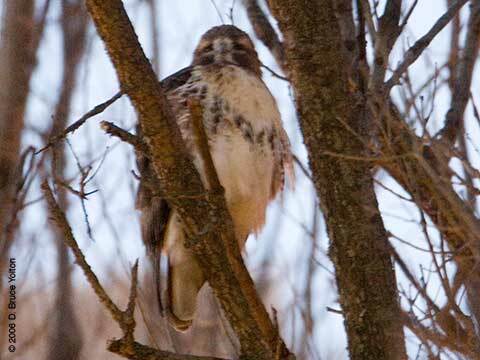 They were aggressively after this juvenile Red-tailed Hawk. 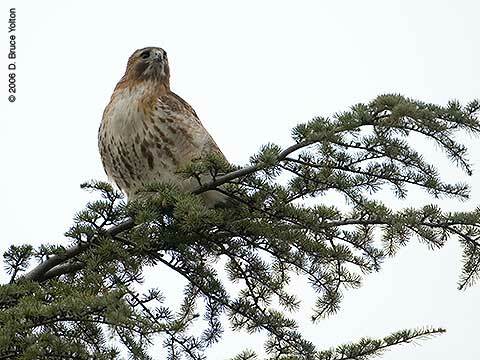 There are a number of young hawks in the city this fall. One is in Tompkins Square Park, which someone has given a very complicated Myspace page. 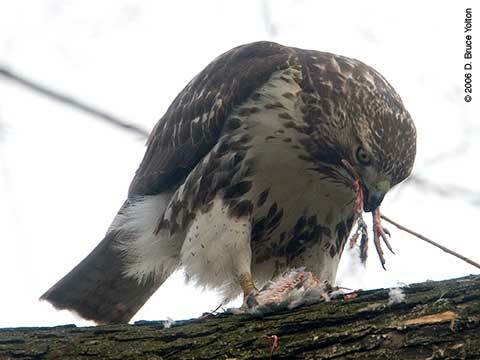 Attacking Blue Jay in the lower right. 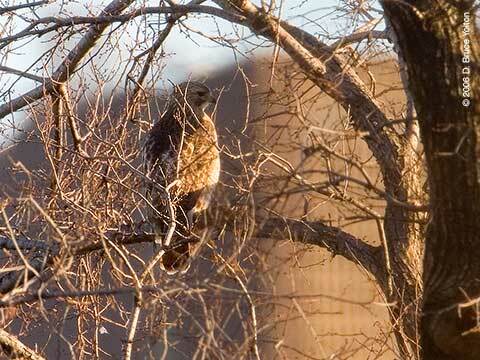 This young hawk moved from tree to tree moving west to the Pond and then up to the Great Hill. 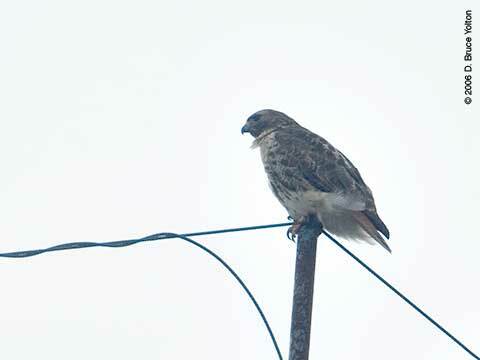 It made a number of half hearted hunting attempts along the way. 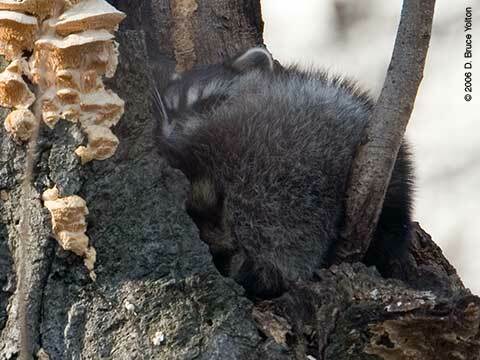 Good luck making it through your first winter. East vs. West, Where Did The Amsterdam Monks Come From? 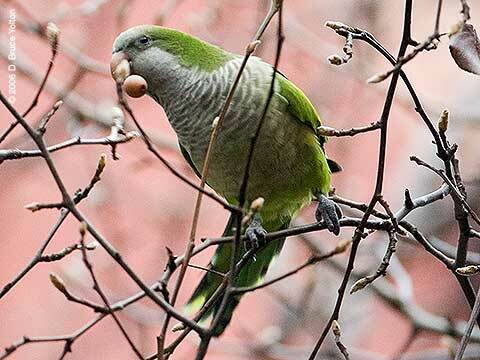 Where did the Monk Parakeets on Amsterdam Avenue come from? 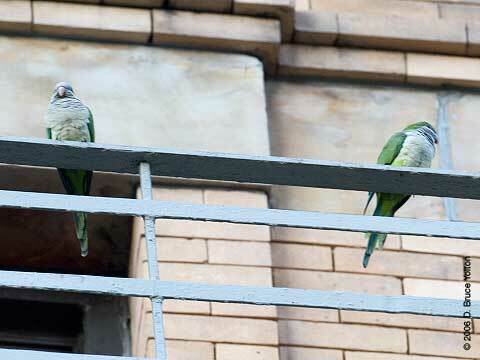 Neither are banded, so they probably came from a wild colony in either New Jersey or Brooklyn. 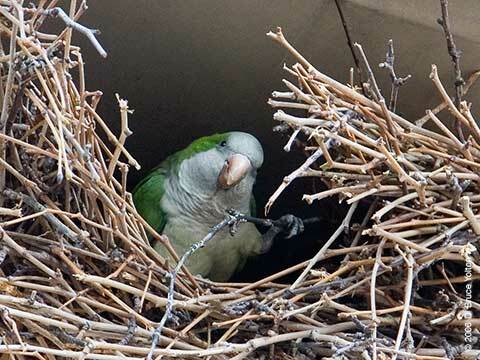 The nearest Brooklyn nest is about 8 miles away in Red Hook Park. 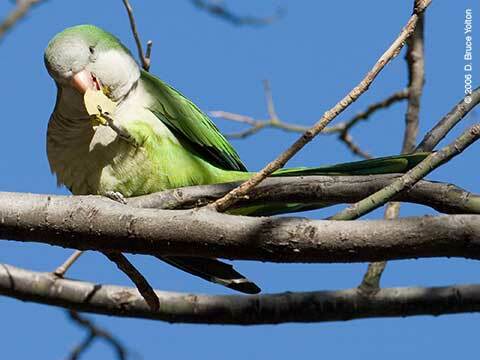 Monk Parakeets were seen in Central Park at various times over the last two years (see NYC Bird Report for details.) 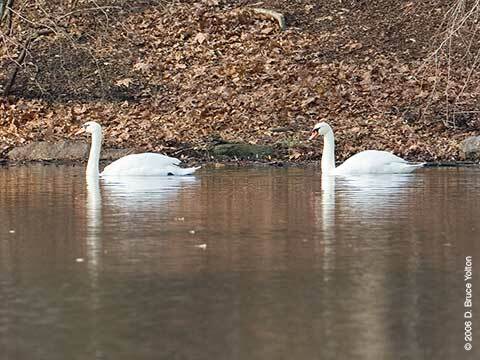 There have also been a number of reports from Riverside Drive this summer. 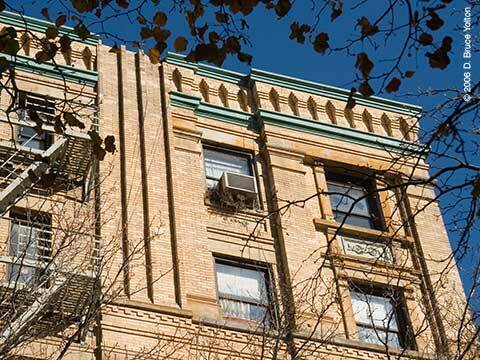 103rd Street is a great gateway between Central Park and Riverside Drive. 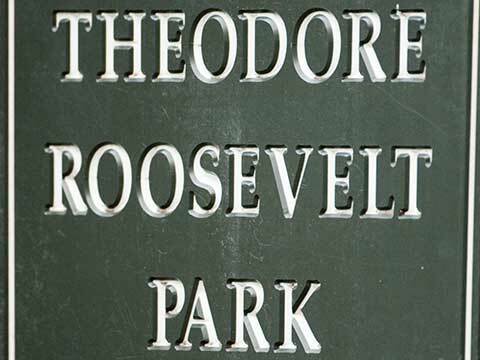 Two blocks of 103rd are a pedestrian walkway through the grounds of the Fredrick Douglas Houses. 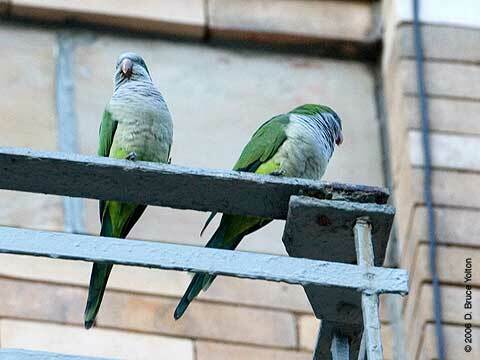 It is also south of the 113th Street Cathedral Red-tails and north of the 96th and Broadway American Kestrels, so it may be a safe street for a Parakeet. Look it up on Google Maps. 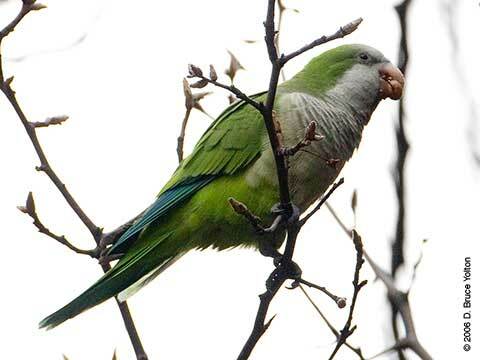 Or better yet, use Steve Baldwin's map of Brooklyn and New Jersey Parrots and scroll up and zoom into Amsterdam and 103rd, after selecting Hybrid mode to get a sense of the surroundings. 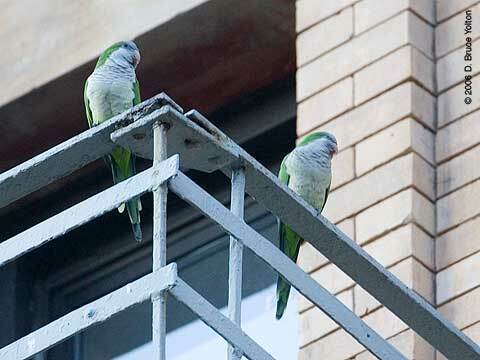 So, did these two come from New Jersey? 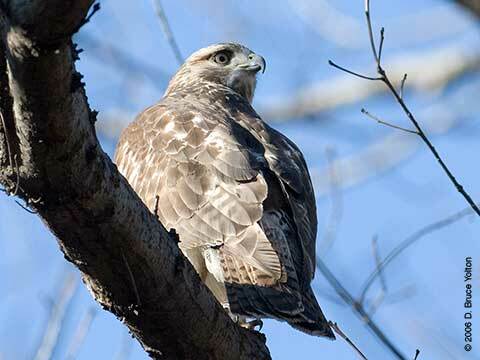 Did the Riverside Monk meet up with the Central Park Monk? Who knows. 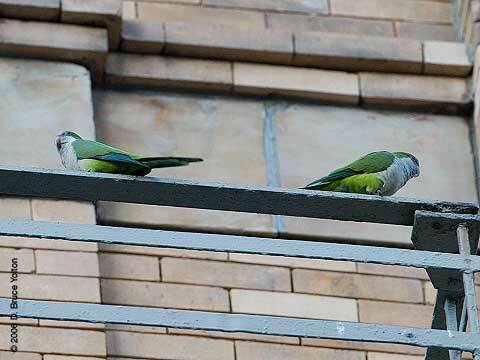 I spent Sunday morning with the two Monks of Amsterdam Avenue. 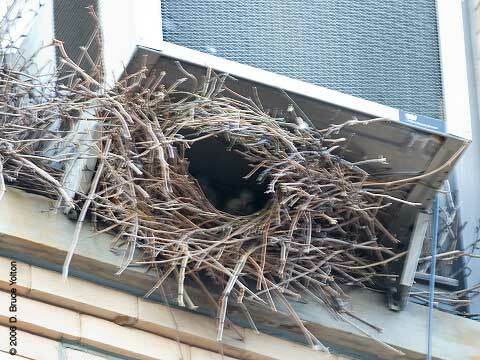 The nest is under the air conditioner on the top floor. 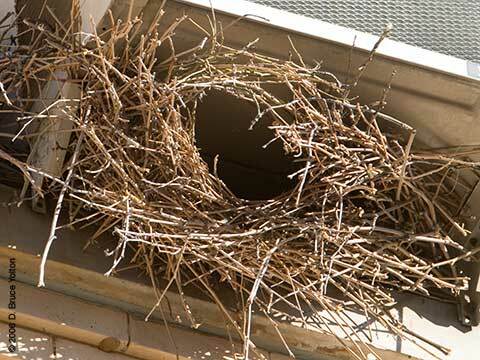 The nest with the Monk's fire escape perch on the left. 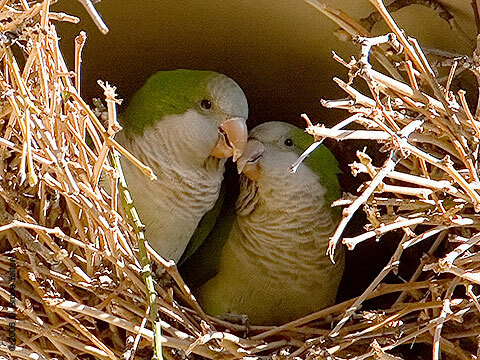 The pair continued their nest building. 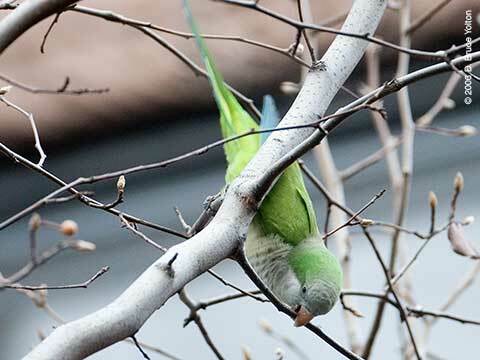 At times one would sing loudly while the other went to break a branch. 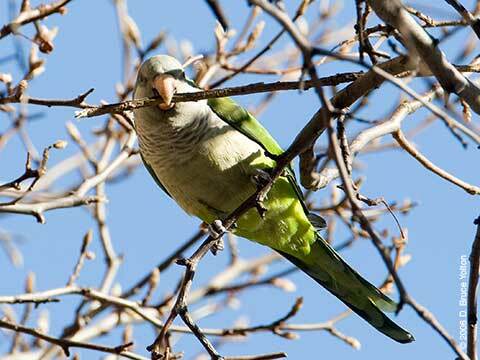 It seemed that the louder and longer the song, the longer the branch that was brought back. Anyone want a free Ph.D. thesis idea? 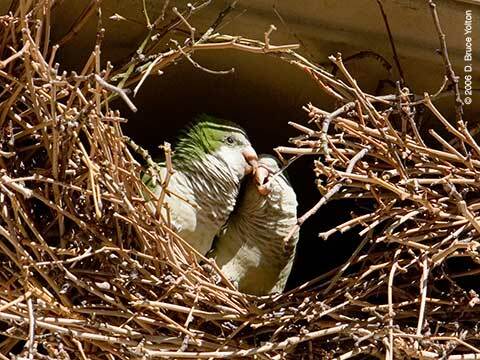 By the time I left they had started an arch over the nest. 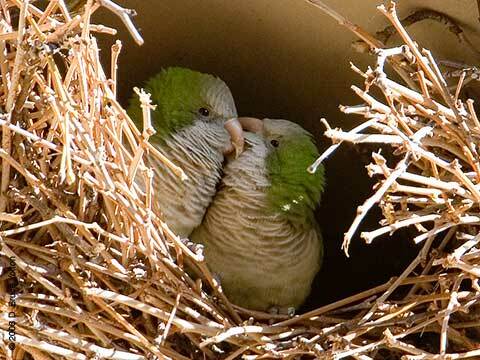 Periodically, the pair would stop and cuddle. 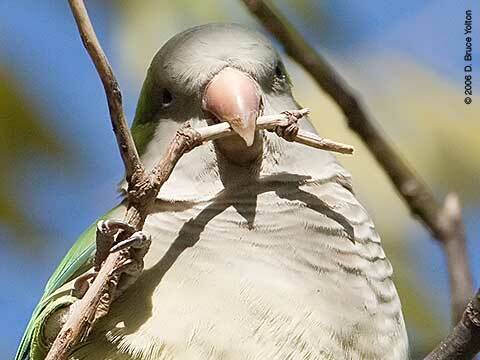 Off to get another stick. 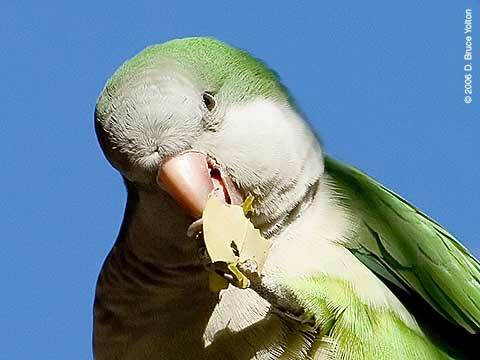 A leaf became a snack. 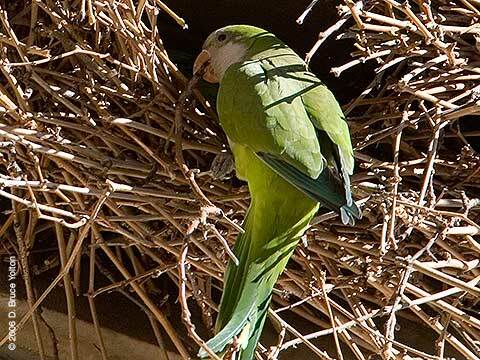 As I left, the nest building continued. 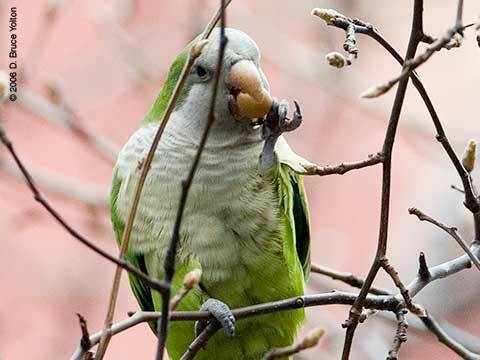 Just before Thanksgiving, Marie Winn posted an article detailing the discovery of Monk Parakeets on Amsterdam Avenue by Rebekah Creshkoff. 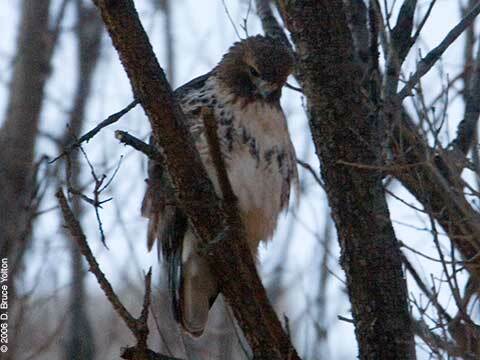 Donna Browne followed up with pictures and a few reports on her blog last week. 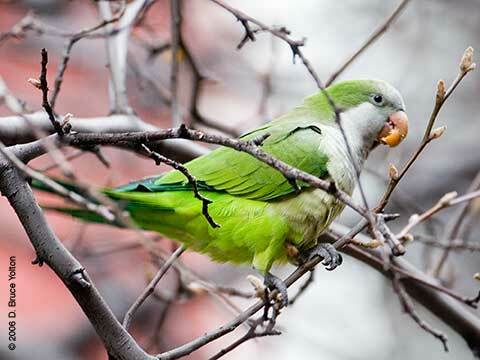 Brooklyn has had Monk Parakeets (aka, Quaker Parakeets, Myiopsitta monachus) for decades. 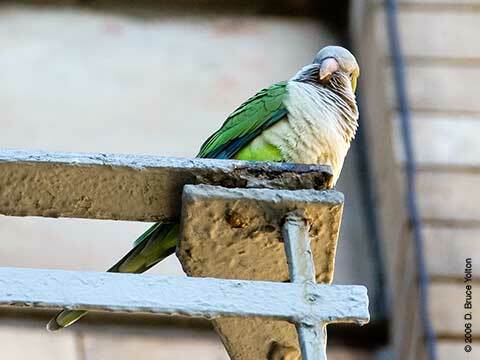 Steve Baldwin's website, www.brooklynparrots.com documents their history in the city. 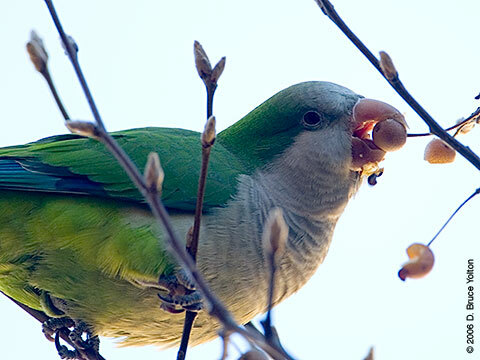 Monk Parakeets are native to South America, and there feral populations in North America are controversial. A good discussion of the issues can be found at the Institute for Biological Invasions. 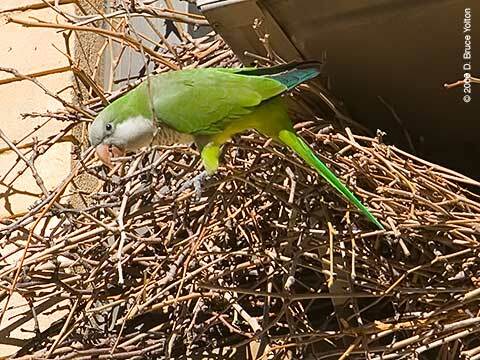 I arrived around 11:30 to find lots of nest building activity taking place. 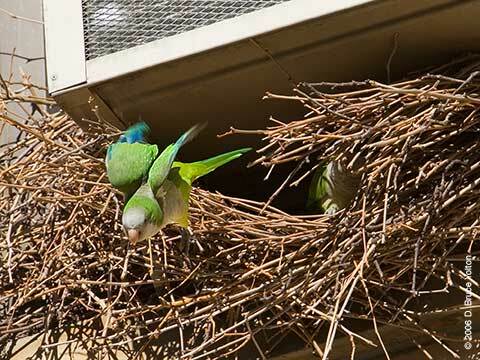 The nest is below a window air conditioner and is occupied by a pair of Monk Parakeets. 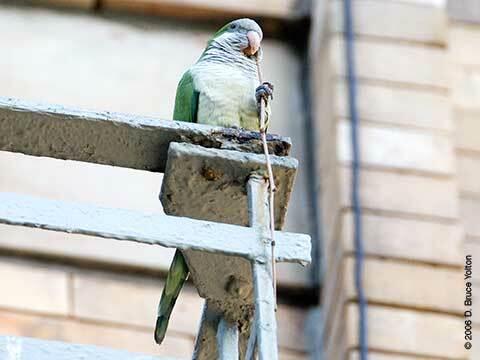 There is a fire escape a few feet away and the birds stop there on their way into the nest. 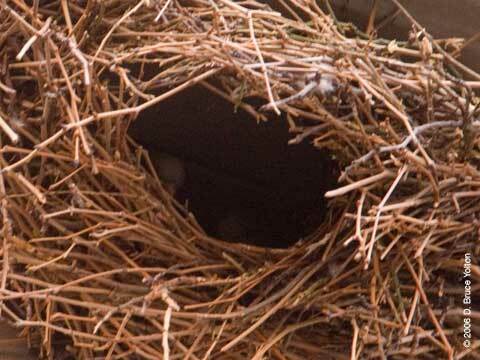 A great number of tree branches were broken off and taken to the nest. 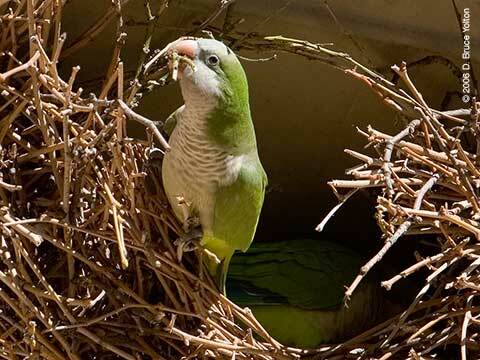 Monk Parakeets are the only parrots that build woven nests with branches. 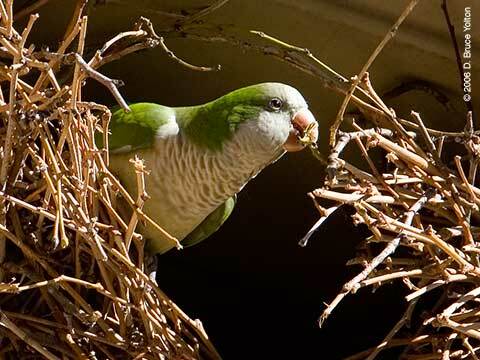 This was no casual nest building, but a full scale project. 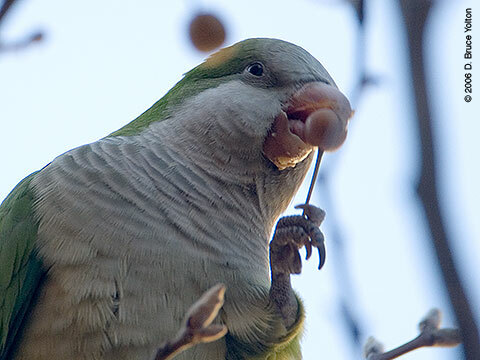 For about fifteen minutes the nest building was interrupted for berry picking. This was a neat discovery. 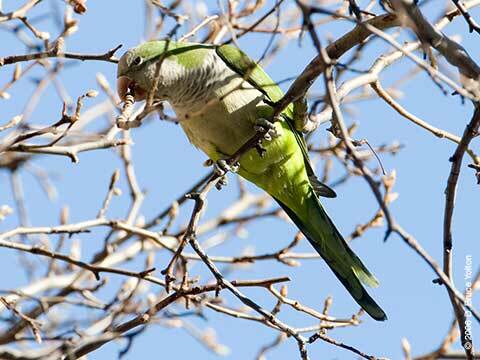 The berry was picked from the tree by the stem and then eaten! 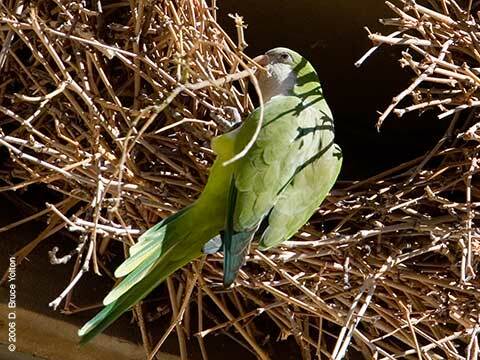 A brief rest before going back to nest building. 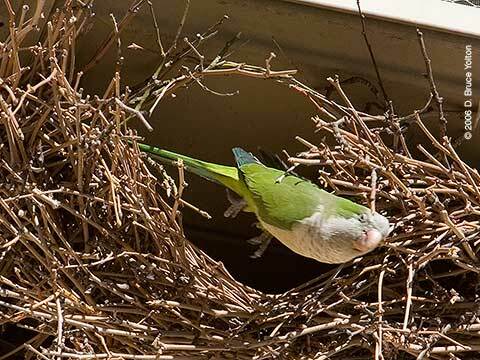 Weaving a branch into the nest. 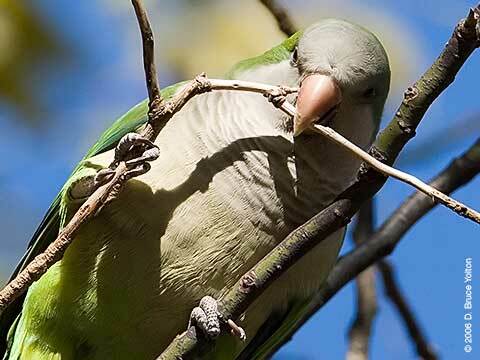 Bringing home a large twig.